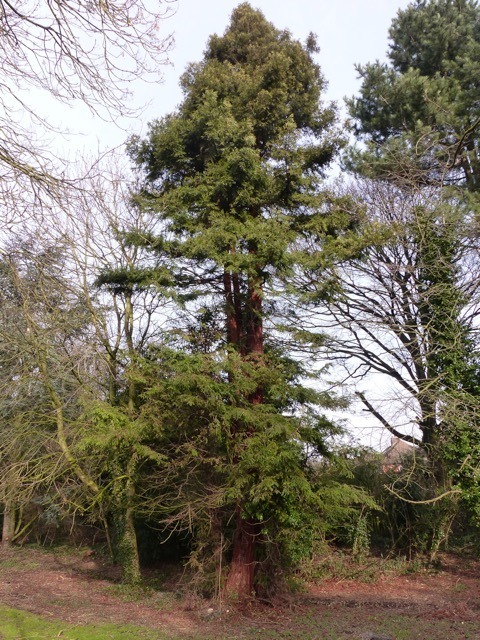 Thanks to Martin for letting us know about "3 dawn redwoods, planted in a row, approx 45’ high and a single coast redwood approx 43’ high, adjacent the road into the park from the A6 road." A nice find by Martin. 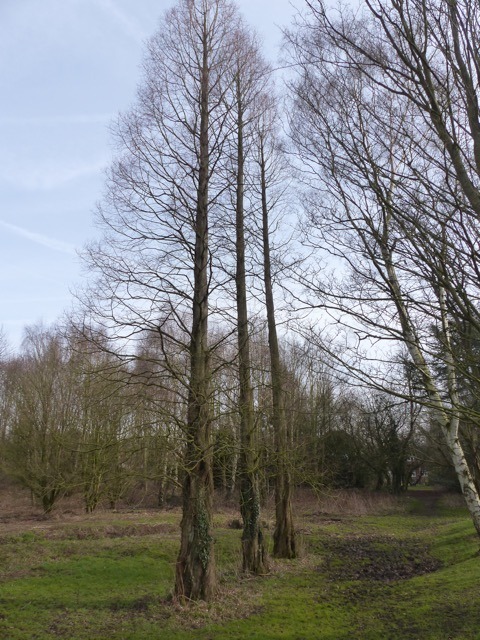 It will be interesting to see how the Dawn Redwood look in the spring with their fresh green foliage, but in this winter state you can see how incredibly straight their trunks grow.